Darrell Katz’s improvisational canata, The Death of Simone Weil (Innova), is among the most ambitious large-scale works for voice and jazz orchestra ever composed. Performed by Boston’s Jazz Composer’s Alliance Orchestra and singer Rebecca Shrimpton, Katz’s setting of poet Paula Tatarunis’ meditation on the life and death of philosopher Weil is remarkable for its lyrical clarity and power. The music’s sensitivity to the sound and meaning of words manifests itself in ways both small and large. For instance, the light, bouncy sound of the words “Viana do Castelo” inspired the Latin rhythms in the opening moments of “Renault.” The blues that concludes that section of the six-part suite was suggested by the slavery imagery that links the Renault plant workers and the fishermen in the poem. The unity of words and music in the suite and the subtle shadings of thought and feeling it contains are beautifully captured by singer Rebecca Shrimpton. The soloists, including trombonist Bob Pilkington, guitarist Norm Zocher, and saxophonist Jeremy Udden, always work within the mood and structure of the piece, adding the immediacy of improvisation to work that is already deeply emotional. Katz, a founder of Boston’s Jazz Composers Alliance and Orchestra, has synthesized a wide range of influences including modern classical, folk traditions, and the entire jazz legacy into a mature and personal compositional style. His work can be heard on previous JCA Orchestra releases-Flux, Dreamland, and In, Thru, and Out. His settings of the poetry of his wife Tatarunis, whose work has appeared in small presses such as Ploughshares and The Massachusetts Review, are found on the Jazz Composers Alliance Sax Quartet’s I’m Me and You’re Not (Brownstone, 1999) and the JCA Orchestra’s In, Thru, and Out (Cadence Jazz Records, 2003). Since 1985, the Jazz Composers Alliance has supported and promoted composition in the jazz idiom in several ways. Through its resident ensemble, the JCA Orchestra, they’ve premiered more than 100 new works by JCA composers-in-residence and guest composers, including commissioned works from Muhal Richard Abrams, Marty Ehrlich, and Wayne Horvitz. Through the Signature Concert Series, they also have presented works by Sam Rivers, Julius Hemphill, Henry Threadgill, Dave Holland, and Steve Lacy, among many others. In addition to a regular concert schedule, since 1993 the JCA has administered the Julius Hemphill Composition Awards, an international competition that recognizes innovative work for both small and large ensembles. In 2001, the JCA instituted the Composers in the Classroom program, sending resident jazz composers into Boston-area elementary schools to help students develop and apply skills in composition and improvisation. 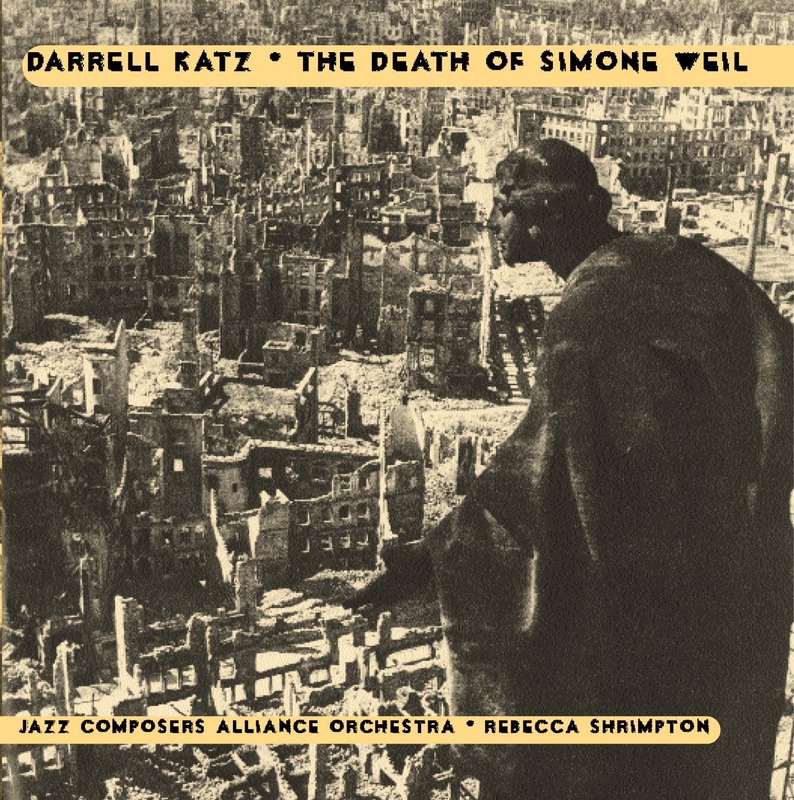 The Death of Simone Weil is a landmark recording for the Jazz Composer’s Allaince, JCA Orchestra, and composer Darrell Katz.